Iran's nuclear programme has been hit by technical problems, and it could be still three years away from making a bomb, an Israeli minister has said. The statement came a month after Iran said centrifuges used in uranium enrichment had been sabotaged. There are suspicions, denied by Iran, that the centrifuges were targeted by the Stuxnet computer worm. 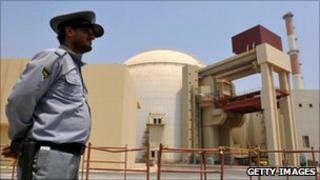 The West fears Iran's goal is to build nuclear weapons but Iran says its programme is for peaceful energy use. Israeli Strategic Affairs Minister Moshe Yaalon said the programme had faced "a number of technological challenges and difficulties". "These difficulties have postponed the timetable," he told Israeli radio. "So we can't talk about a point of no return. Iran does not have the ability to create nuclear weapons by itself at the moment." Iran said in September that the Stuxnet worm had attacked its computers but denied that it had damaged the nuclear programme. However, experts say the worm has been specially configured to damage motors commonly used in uranium enrichment centrifuges by sending them spinning out of control. The computer worm is a form of customised malware, written to attack a precise target. Israel considers Iran the greatest threat to its security, because of the nuclear programme and anti-Israeli comments by Iranian President Mahmoud Ahmadinejad.